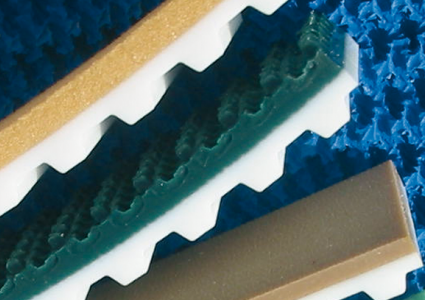 Ammeraal Beltech’s range of Covering Materials consists of more than 60 different types divided into 4 segments (Rubber, PU & PVC, Cellular and special Covering Materials) allowing us to customise belts for specific applications. Outstanding mechanical and chemical properties, together with special fabrication techniques, deliver the high-performance operation and precision customers want. 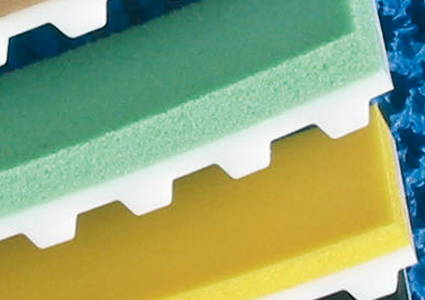 Our rubber covering materials (natural rubber, nitrile rubber and synthetic rubber) are available in multiple colours and offer surfaces with excellent grip, good abrasion resistance or high cut and tear resistance. PVC Nonex and TPU Ropanyl. 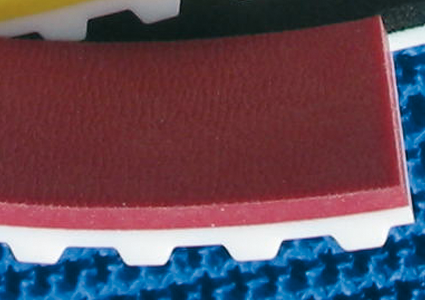 The materials are available in multiple colours. 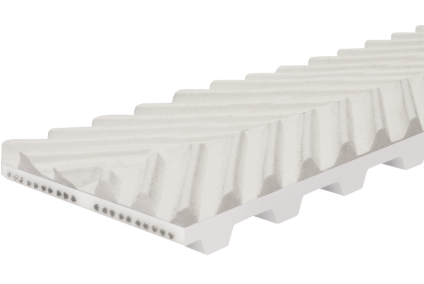 Natural sponge rubber, neoprene sponge rubber and cellular polyethylene are some of the cellular covering materials Ammeraal Beltech is offering. Construction varies in degrees from open cellular construction to very high density fully closed construction, with differing advantages and benefits. In some cases, extraordinary requirements are imposed on the covering materials. Therefore, Ammeraal Beltech has a selection of special materials, with specific properties, colours and surfaces to meet customer demands. For example, technopolymer is a material offering high grip, good oil and fat resistance, excellent abrasion and tear resistance.